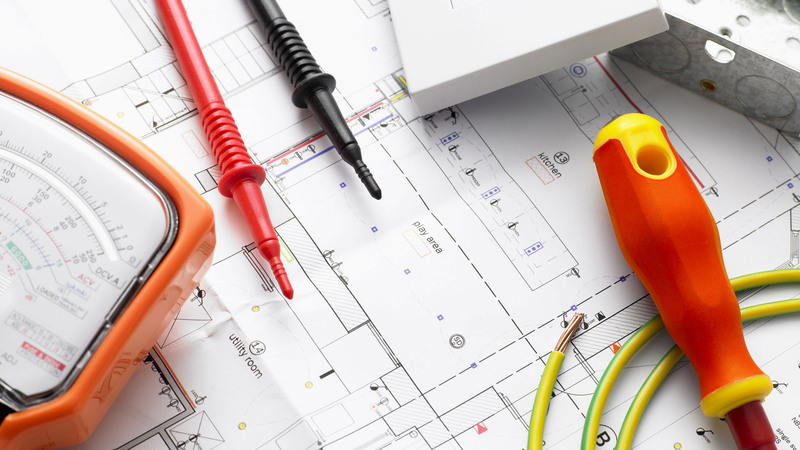 We are a SELECT registered family run electrical contractor based in Edinburgh with over 15 years experience in the domestic and commercial sectors. All of our work is carried out to a high standard. Free estimates and a 24 hour call out service available if required. Customer satisfaction guaranteed. All of our work is insured, certified, and tested upon completion. We aim to provide our customers with quality workmanship and an excellent standard of customer service. On first visit the fault with my light was diagnosed and temporary light fitted. Once I had found a replacement of my choice George the electrucian returned to fit it. I was very pleased indeed with the standatd of his work and the pleasant and efficient way in which it was carried out. I would definitely recommend this electrician and would use him again. George is a friendly pleasant guy. Did good job and left place tidy. Will definatly use again . Would recommend to anyone. George did a great job in connecting my cooker, no fuss no nonsense just got straight to it and took very little time in doing so. Very easy to get along with a great personality definitely would recommend him. 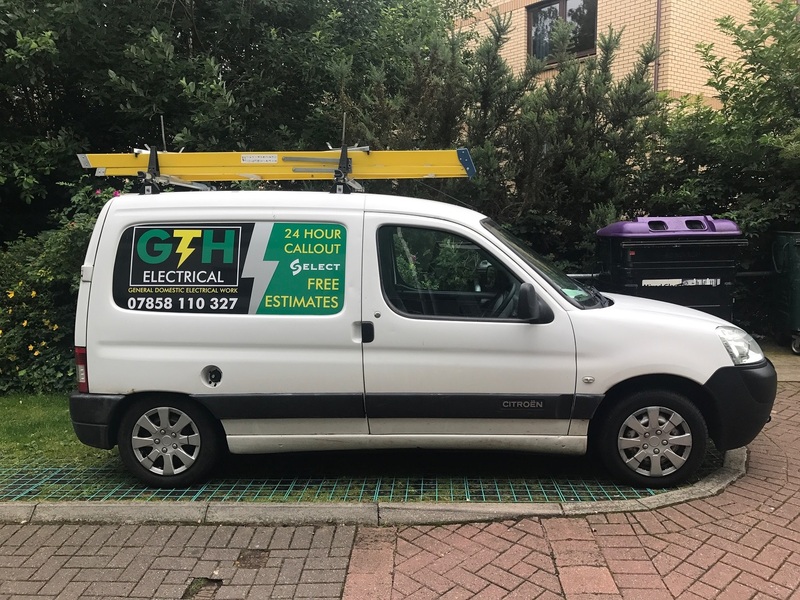 Mr Fenning of GTH Electrical provided an excellent service. He was professional, knowledgeable and courteous. I am delighted with my new extractor fan and new external floodlight. The job was agreed and carried out quickly and without fuss. George arrived on time and I’m very happy with the quality of the work. George is an excellent Electrician. has done great job for us. Highly recommend to others. We just invite him help us to do another job. Very pleased with the work. Gave a number of options and explained the differences. Very friendly and left everything clean and tidy after the work was completed. Highly recommended. Did a great job at the agreed time, would definitely use again. Cheers. Great service, really happy with the work. Would definitely use again. Excellent electrician, very knowledgeable and did a very professional job in my kitchen. Would highly recommend. Our job ended up being much bigger than expected but George ensured we had a working cooker the day it was delivered. George offered a first class service installing some spotlights in my bathroom. After initial visit, he pointed out that I had ordered the wrong lights (not IP rated) and that he'd get a quote together whilst I ordered the right ones - thought this was responsible of him not to just fire in the wrong ones - he offered to help source lights for me too if I needed. From getting the quote to the job being started was only a couple of days, and even though there was an unexpected low ceiling space for the lights, he persevered and got the job done in about an hour. Cheers George! Chuffed with the new lights! would recommend and use again. George was very reliable and gave a fair quote. Extremely jolly and professional, checking all details out beforehand. The work was completed to a very high standard. Would definitely use again. Many thanks! Fantastic work, showed up on extremely short notice and had the job finished in no time at all. Very polite and reasonably priced. Will definitely keep his card handy in case of any more electrical mishaps. George passed by within a few hours of posting the job, identified the problem quickly (where several Scottish Power electricians had failed to do so) and proposed and completed the solution in no time. Great job, thank you! Very friendly and very professional, George came by to assess the job first and within a week it was all completed. As nothing is ever straightforward with our house, the job proved to be trickier than we thought but George did an excellent job. Very happy customers. George was excellent, bang on time and couldn't fault him. He's very likeable and we are really happy with the work he has done. Would recommend to everyone. © 2016 GTH Electrical. All Rights Reserved.